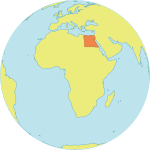 The Operations Analyst is located in the Egypt Country Office (CO) in the Arab States region. Under the supervision of the Representative, the Operations Analyst (OA) supports a fully accountable, smoothly functioning, well-managed and results-oriented Country Office and facilitates programme implementation and delivery by providing for the operational needs of programmes and projects. The OA actively participates in inter-agency coordination to ensure UNFPA’s need in common systems and service issues are met. S/He fosters a collaborative, client-oriented approach towards the CO’s programme team and UN community, and supports effective communication and cooperation with Headquarters (HQs). The OA manages the operations team and closely collaborates with the CO’s programme staff. An advanced university degree (Master's degree or equivalent) in business or public administration, management, economics, international affairs or a related field is required. A first-level university degree with two additional years of qualifying experience may be accepted in lieu of the advanced university degree. Proven proficiency in current office software applications and corporate IT systems, particularly web-based systems. Fluency in Arabic and English is required.